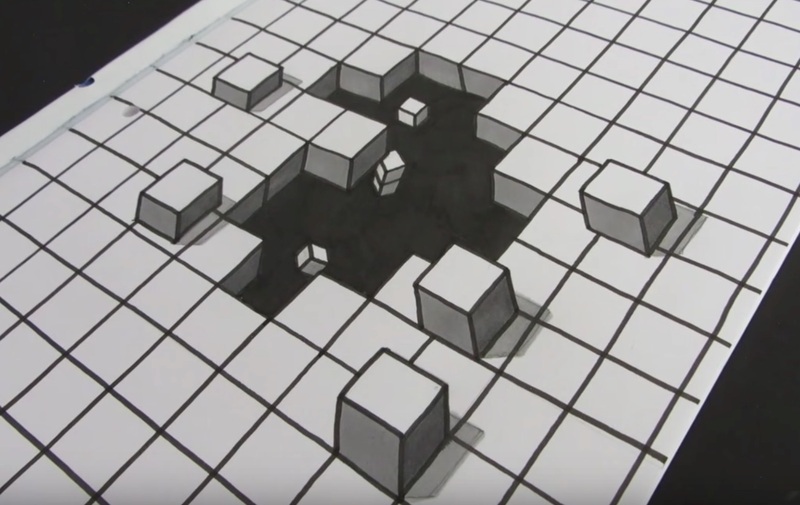 Circle Line Art School explains how to draw this simple but effective anamorphic illusion of cubes falling into a hole in the page. Jonathan Stephen Harris explains how to draw this mindbending anamorphic illusion of a levitating cube in about 15 minutes. Materials used: 110lb cardstock, HB pencil, 2B pencil, Blue bic pen, red bic pen, black fine line pen, ruler, scissors. 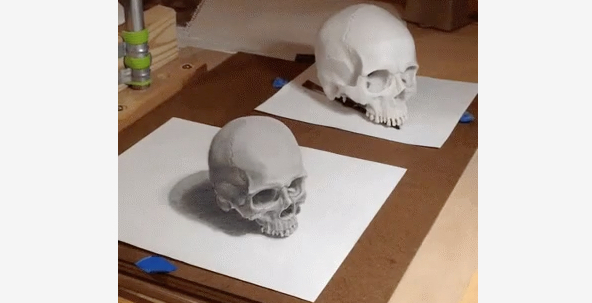 The artist Sangoma writes, "Anamorphic drawing- for anyone curious about the style. This piece is a combination of graphite, pan pastel, charcoal, and exacto knife (to trim the top of the page)."